Steve Miller, a member of the Winona Lake (Ind.) Grace Brethren Church (Bruce Barlow, lead pastor) and the chief executive officer at Kosciusko Community Hospital, has been tapped to lead the local United Way campaign in Kosciusko County. A story detailing his appointment as the 2014 campaign chair recently appeared on the online news site, Stacey Page Online. A portion of the story appears below. Click here to read the complete story. United Way of Kosciusko County is pleased to announce Stephen Miller, chief executive officer of Kosciusko Community Hospital (part of the Lutheran Health Network) as the 2014 Campaign Chair. 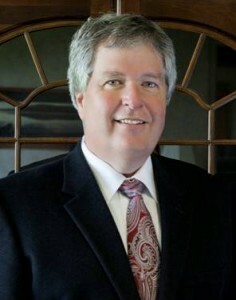 Miller served as chief financial officer for KCH from 1985 to 2007 prior to his appointment as chief executive officer in 2008. He and his wife, Lee, have two children and have resided in Warsaw since 1985.